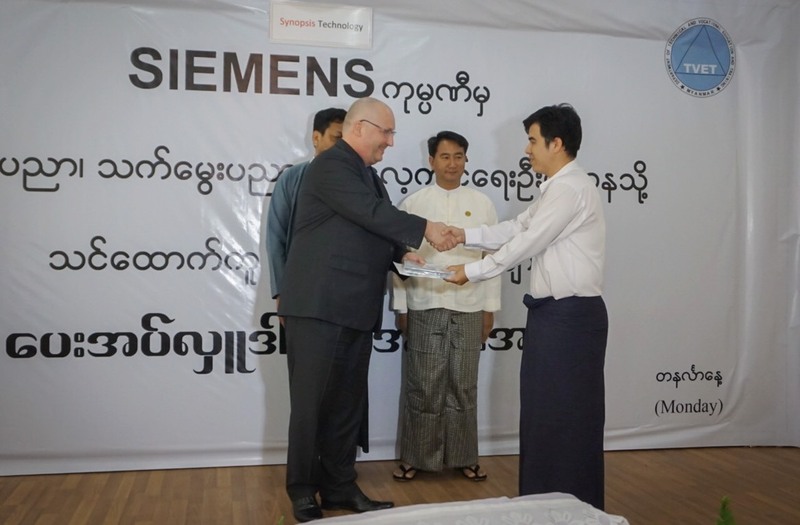 Siemens Limited continues preparing Myanmar’s education sector for the world megatrend – Digitalization by equipping students with digital skill knowledge via hands-on software learning. This year, software granting has begun at the Department of Technical and Vocational Education and Training in Yangon, which is the 2nd academic granting of the overall plan of which 35 universities and 29 Technical and Vocational Training Schools nationwide are included to receive 1000 licenses, and 580 software packages. 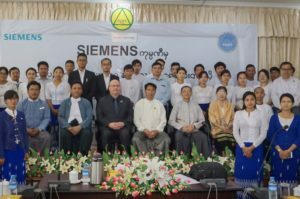 The granting ceremony is held to mark the collaboration between Siemens and Universities in Myanmar in order to help them enhance students’ capability in automation, which currently has been playing a significant role in the manufacturing industry. “Efficiency and productivity are two critical success factors for the manufacturing industry. Engineering plays a central role in the sector as machinery and plants become more sophisticated. 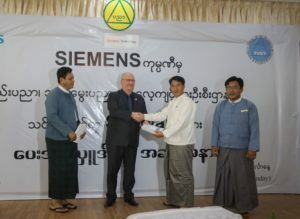 Therefore, a high level of efficiency is required at the engineering stage – the first step toward a faster, more flexible and highly intelligent production process”, said Christian Beckers, Head of Business Development, digital Factory and process Industries and Drives, Siemens Myanmar ,Cambodia & Laos. 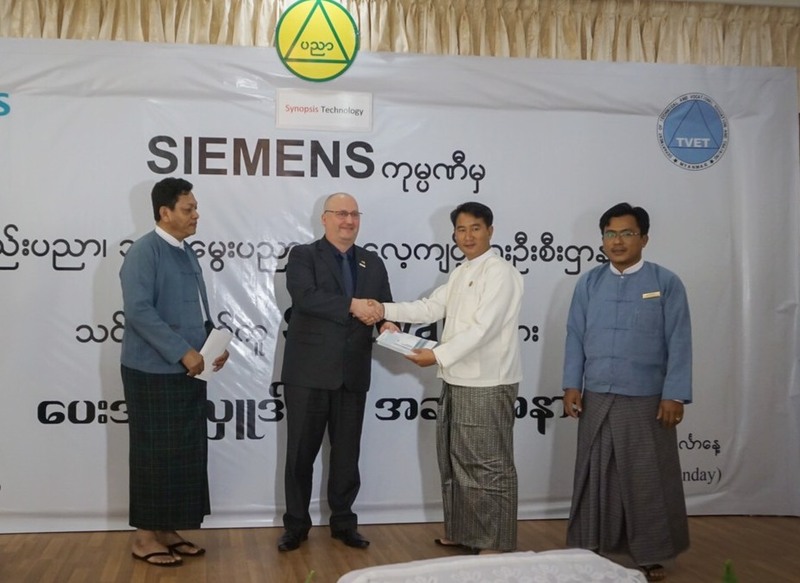 “After 26 years of Siemens presence in Myanmar, Siemens Myanmar support for energy efficient. It is essential that the country’s infrastructure and manufacturing process need to be up to date in accordance with world’s trend, and Siemens has geared up to pave the way for better solutions for the growth of the country. For example, the software TIA Portal (Total Integrated Automation Portal) SIMATIC STEP 7 Professional V15 Combo Engineering which were granted to the academic institutes is a practical tool to minimize engineering time by 30-50%, which results in lowering costs, reducing time to market and increasing flexibility. Granting software package for young generation in education program is part of our commitment and effort to walk them through the actual training with updated technologies for the future benefits. 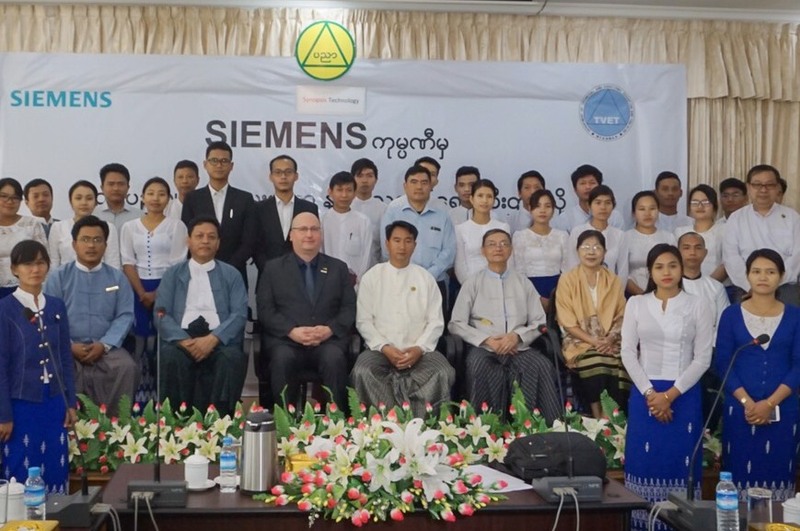 Our goal is to extend this practical training to around 35 Universities with 1000 licenses, and 580 software packages to be granted to Technical and Vocational Training Schools as well,” added Mr. Beckers.